The 36th annual Taste Edmonds is back again on August 11-12, 2018. 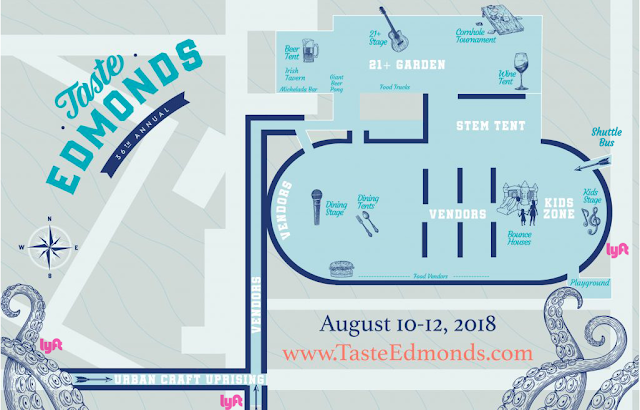 Two days of food, music, vendors, rides, beer/wine and fun. Voted one of the “Top 100 North American Festivals”, there’s fun for everyone. This event is a fundraiser for the Edmonds Chamber of Commerce. Proceeds help fund community events like Edmonds 4th of July, Car Show, Halloween and Tree Lighting. In addition, they are able to give back over $24,572 each year to non-profits and service clubs.